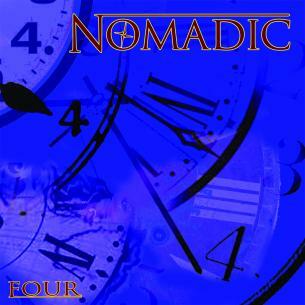 Nomadic came together as a result of Eric and Tom's desire to create some music inspired by their mutual love of classic progressive rock, along with other styles that exhibit texture, dynamics, free-form creativity, and originality. They decided early on to go for it without a full-time keyboardist, but wanted another element to keep from being "another power trio" so to speak. That's where Chuck comes in. A fully trained classical musician who has done extensive theater work, and has performed with the CSO, Chuck has another side. With his 7 string violin through a full blown guitar rig, Chuck can go from beautiful violin melodies, to over-driven power chords. Henry and Tom have worked together with a variety of artists, both on stage, and in the studio, and have a great working relationship and understanding of each others' playing. Henry's impeccable timing, and solid, hard hitting style made him an easy choice for the drummer position. As a trained pianist, he also understands music and song structure as a whole. Eric's versatility and theoretical knowledge make for some great dynamics in the guitar department. A true "texturalist", he goes from clean, complex chords voicings, to shredding leads and crunchy rhythms. Tom adds his multi-tasking skills to the mix. Primarily a bass player, he also adds texture by way of bass pedals triggering various synth patches, and is also the group's lead vocalist. Originally a mostly instrumental band, Nomadic is gradually finding more and more vocal tunes coming into the mix.